Summer is creeping closer and closer to an end, but before we say hello to Autumn and, in many places welcome the cooler weather, I want to bring you a collection of fantastic fruit treats you can take to that last BBQ or picnic before the warmer weather says “peace out”. Depending on my kids’ mood, fruit is either a treat or something that turns their nose up when I offer the list of options at snack time. It really is hit and miss. But one thing I have found, is that if I keep it interesting and keep ‘em guessing, sometimes battle between healthy food and kids is a little easier. 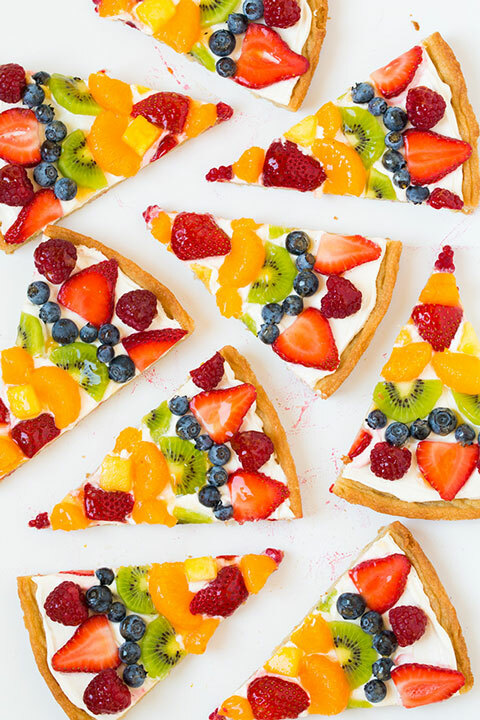 Here are some great ideas to keep fruit interesting at your place. Two words. Fruit. Pizza. Yes, that’s what I said! It’s a stroke of genius from cookingclassy.com, and yes, it does taste as good as it sounds. Summer might be coming to an end but in many parts of Australia it’s still HOT HOT HOT! 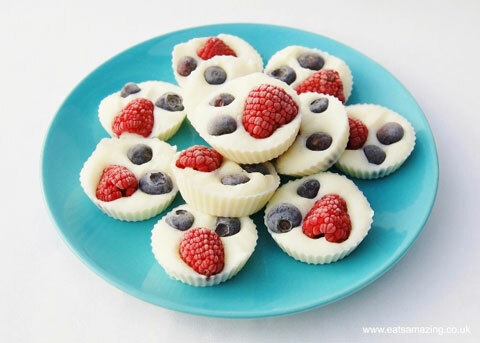 So cool down with these frozen fruity yoghurt bites from eatsamazing.co.uk. 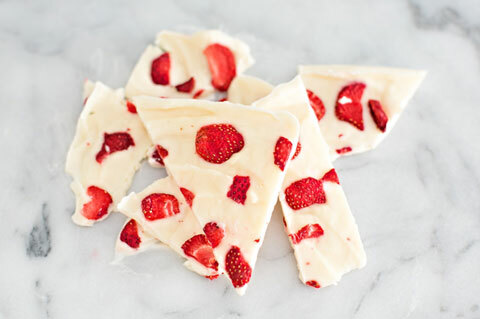 Or what about something on-trend and a little bit posh, like this strawberry ‘bark’ from hellowonderful.co? The possibilities are endless with this next option. 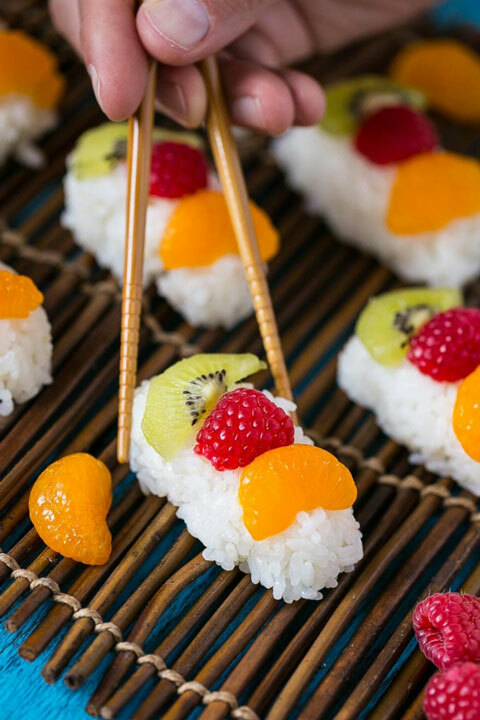 Fruit Sushi! Keep it interesting with different combinations and also let your little people help out preparing it! These ones are from dinneratthezoo.com. So much family fun has been had creating this snack in our kitchen! If all else fails, put it on a stick! 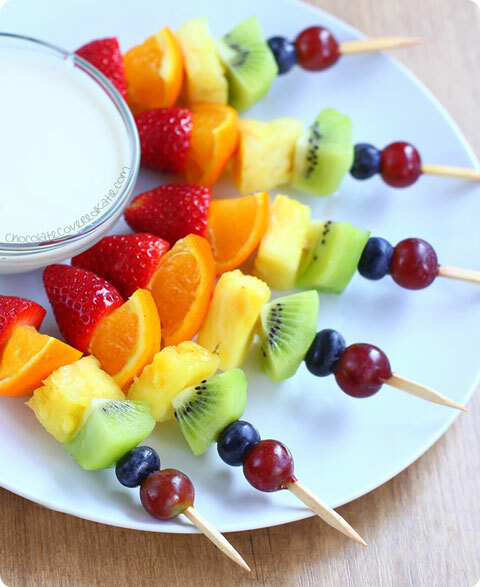 Why does food just taste so much better on a stick?! The frutilicious combo below is brought to you by chocolatecoveredkatie.com. What are your tips and tricks to keep fruit interesting?